Those of you who have watched Kill Bill series will remember the cool, composed and very sure of himself Bill. Played by David Carradine. David was an avid martial arts follower. He is believed to have hung himself in his hotel room in Bangkok where he was shooting for a movie. 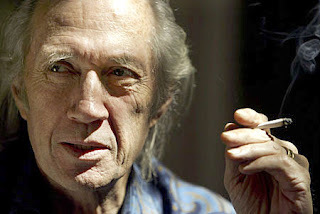 72 years old, David Carradine died on 3rd June 2009. "Those of you who have watched Kill Bill series will remember the cool, composed and very sure of himself Bill. Played by David Carradine." ... Looks like the "reel" and the "real" didn't quite gel... Amen.